One of the most unusual tribes remaining in Africa, the Himba tribe have a large population in Northern Namibia. 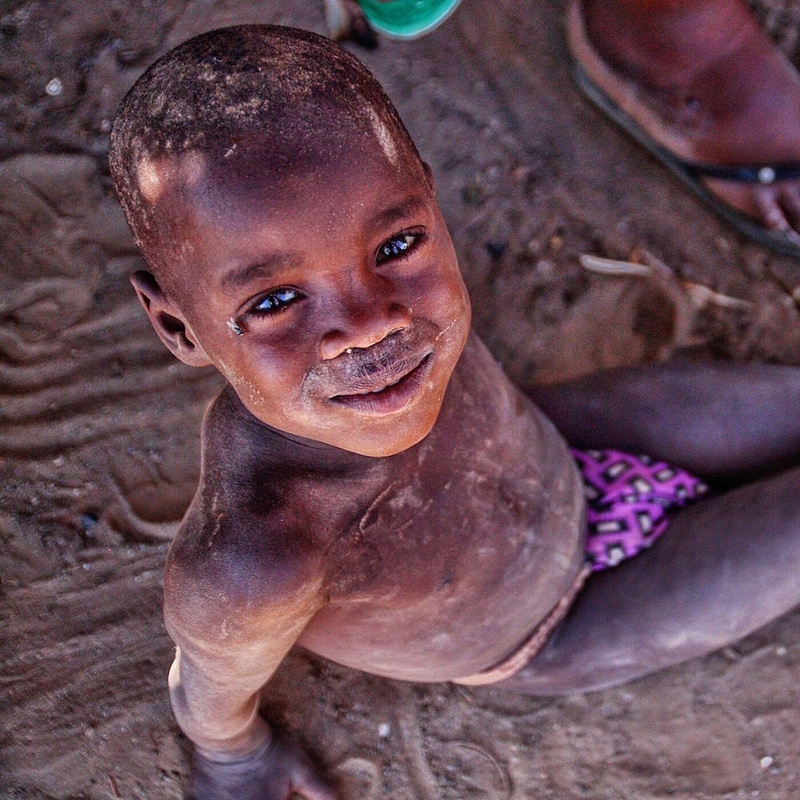 Roughly 50,000 from this indigenous tribe remain between Namibia and Angola today. 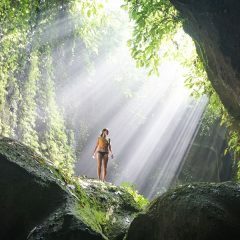 They have retained many traditions and at the same time adapted to modern influences. 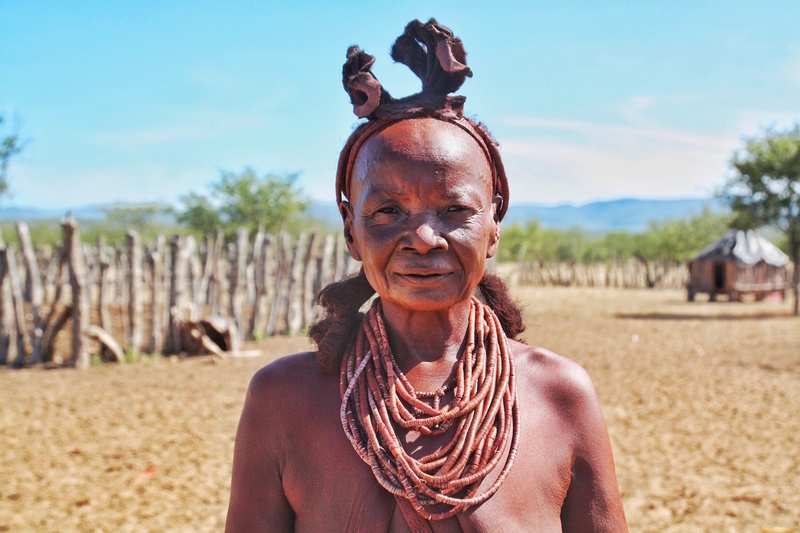 Opuwo, a small town in Northern Namibia, is the best place to see this tribe up close. They intermingle with other Namibian’s from town at places like the local supermarket. It is a sight to see, as they go about their day walking around town. 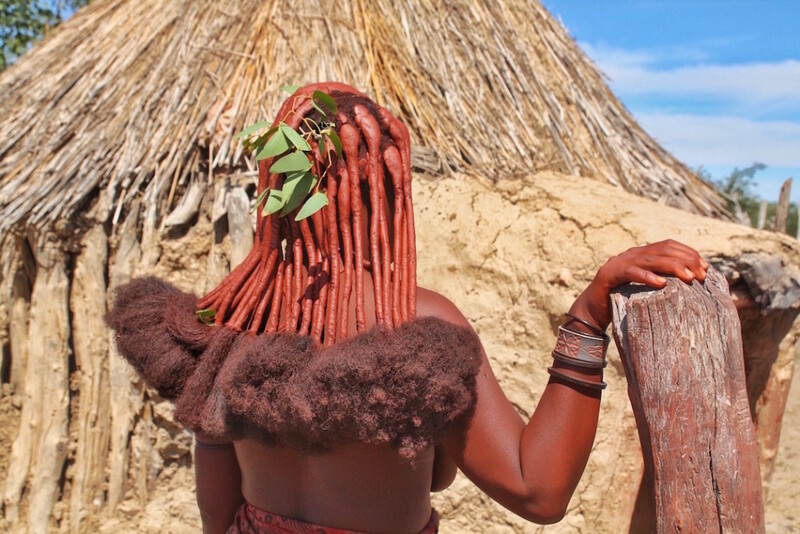 A Himba tour in Namibia is the perfect way to visit their local villages. It will allow you to better understand their lifestyle and learn about many of their traditions. The Himba people are known for retaining their culture and values, which include roles for each person within the village. The women take on the brunt of most of the family work, tending to the children, the farms, and making jewelry. The men are tending to livestock, often away for many days at a time. They do not have any education, and rarely rely on generating income. They try to be self-sufficient by growing livestock and farming produce. 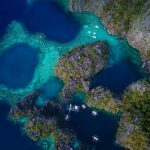 The easiest way, yet most expensive, is through the Opuwo Cultural Center. It is just before the center of town on highway C41. For a more intimate and budget friendly option, we met a women by the name of Queen Elizabeth who can arrange tours. She is a Himba woman and left her village at 11 to get educated. She speaks English (among many other languages fluently). With family in the Himba village, she will give a tour where her Aunt is one of the elders. Queen Elizabeth is found at the OK Supermarket in the center of town, where she has a stall with dolls and jewelry. She also is reachable by cell phone at +264 812 138 326. 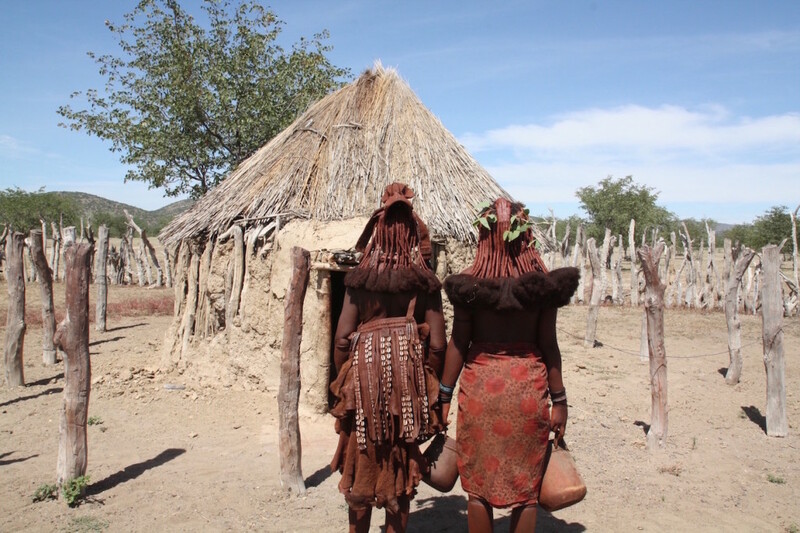 Visiting a Himba village will allow you to learn about their culture and traditions. They have several unique traditions. All men and women remove their bottom four teeth, as they have a high respect for cows and believe removing their teeth makes them look more like cows. They do not shower or bath. 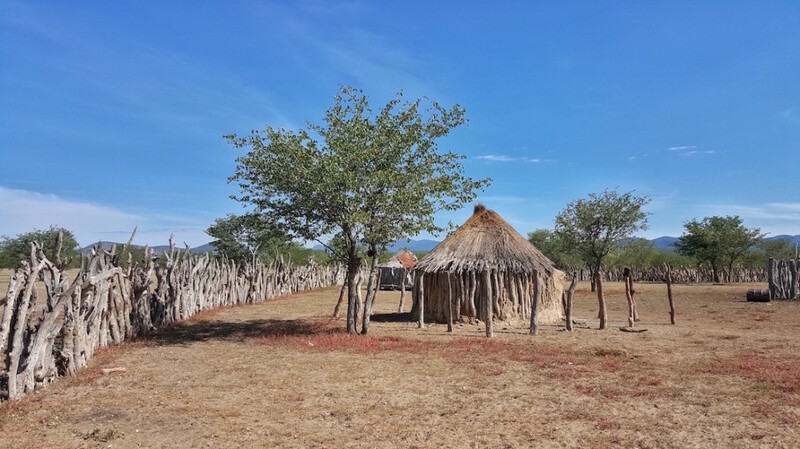 Instead they rub otjize paste on their skin, a combination of butter fat and ochre pigment, to cleanse their skin and protect themselves from sunburn and mosquito’s. 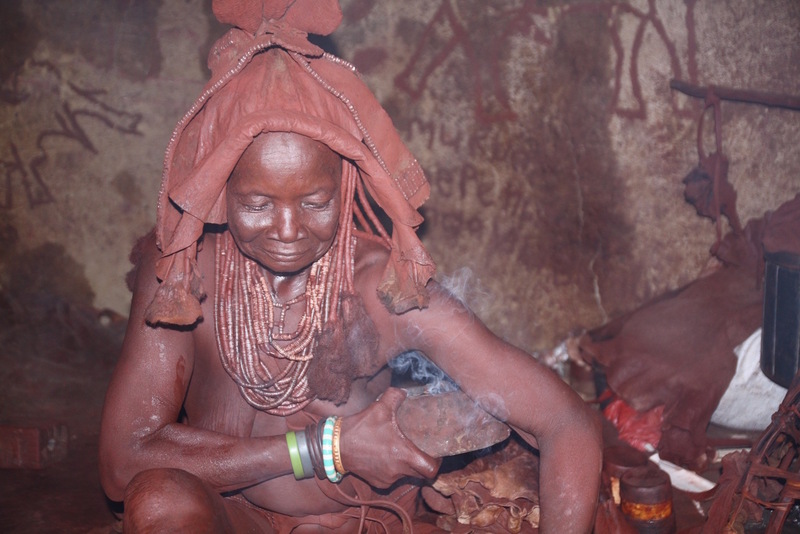 Incense is burned underneath their armpits and around their neck as a natural perfume. A village tour gives you the opportunity to ask questions and better understand their culture and get up close with this beautiful tribe. They are hard-working people, very kind, and always find a way to smile and laugh. I really enjoyed photographing the women’s hair and the young boys. They are very photogenic, and loved to see themselves in pictures after taking them. The village tours usually last around 3 hours. The tour cost is 150 NAD per person, plus a gift of 150 NAD per group. Before going on the tour, you will buy some groceries with Queen Elizabeth for the village to present as a gift upon entering. 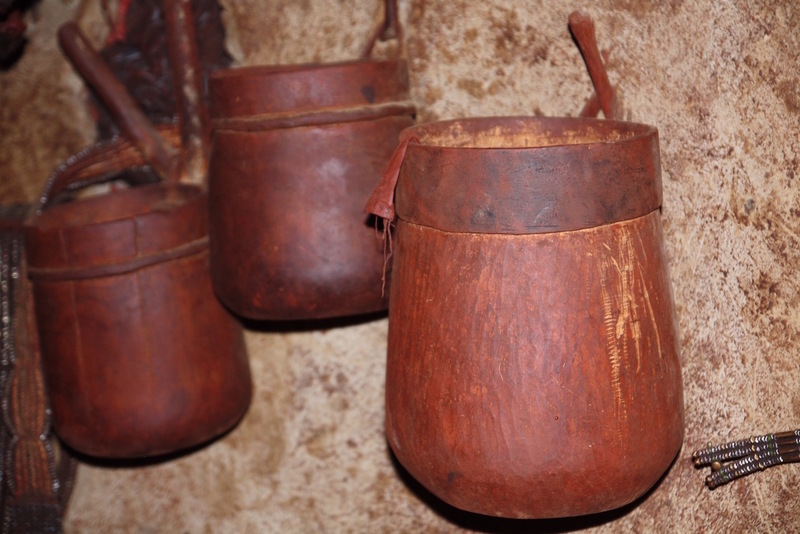 The tours with the Opuwo Visitor Center cost 300 NAD per person, plus a gift of 150 NAD for each village you visit. You have the option to go to 1 village, or up to 3 different villages in 1 day.